For news on our writers, writing opportunities, and our latest projects, join the Transportation subscriber list. 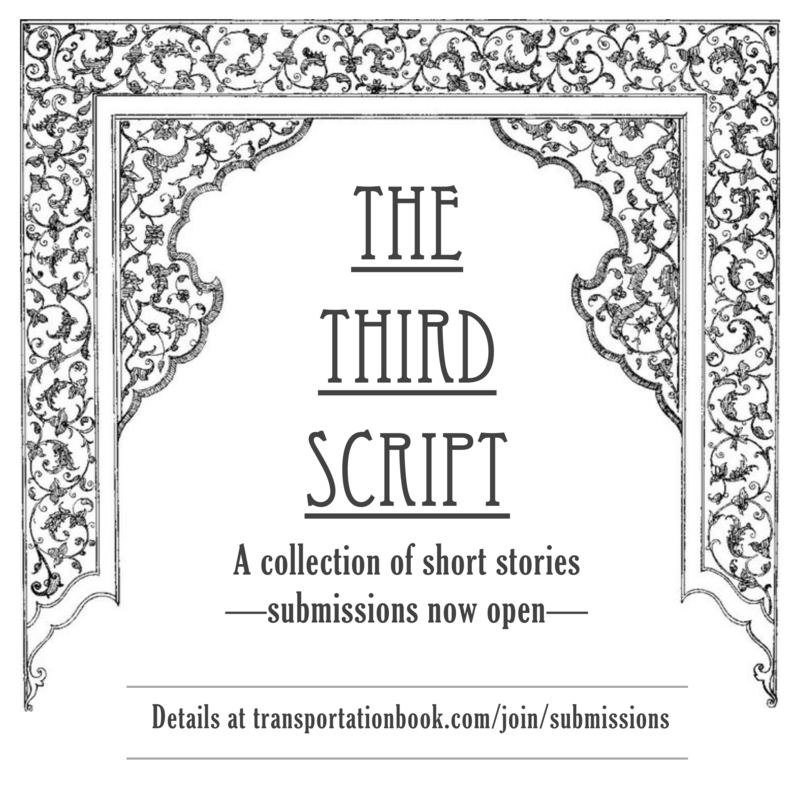 Transportation Press publish a collection of short stories every year. Our second collaborative publication will be The Third Script. Read about submission details.